As we get older, we become more prone to different health conditions associated with ageing. In addition, our five senses – hearing, vision, touch, smell and taste all decline with age. 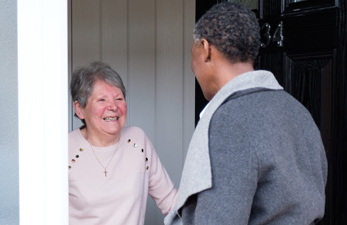 One of the most common long-term conditions affecting mainly older people is frailty. You may notice that it takes a little longer to do household chores or walk to the shop or you may feel more unsteady on your feet. Frailty is now a recognised condition in which people become less able to recover from difficulties they experience during everyday life. This increased vulnerability means that even little upsets, such as a trip or fall which may seem quite trivial to someone who does not have frailty, can have a more profound impact on those individuals living with the condition. Dementia is another common health condition which is most commonly linked with ageing. Each person living with dementia can experience different symptoms which our trained CAREGivers can help to manage. 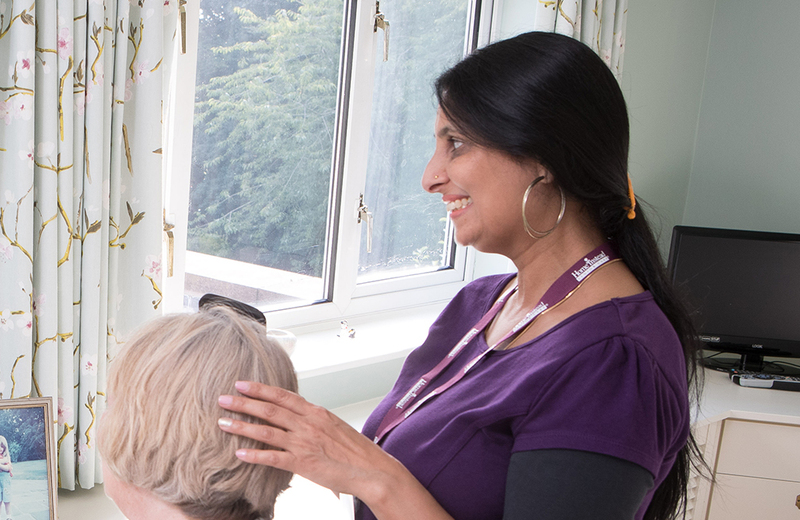 Our dementia care expertise means we have specialist knowledge to support a person with the disease and how they can live life as well as possible with it. Malnutrition and dehydration, caused by inappropriate nutrition and fluids, can lead to infections, confusion and weakness. We have advice and resources to help you support your loved one and help provide nutritious meals. You can also encourage them to drink ample fluids to ensure their health doesn’t deteriorate further. CAREGivers can also observe for signs and symptoms of illnesses and infections and help manage any medications if needed. Our CAREGivers are here to support you or your loved ones to manage any health conditions as comfortably as possible. They are trained to closely monitor, observe and record events and changes in health and wellbeing. Often, spotting these small signs can reduce the risk of a person falling ill or even being hospitalised. This preventative support gives you the confidence that your loved one is in safe hands in the care of Home Instead. Do not hesitate to contact us to learn more about home care or book a free consultation to let us your needs and give you appropriate support. For more information, we have downloadable advice and resources to help you live well. *Fusion48: One small step for older people with frailty, one giant leap for frailty care? Being faced with a life limiting disease or illness is emotional time for all involved and we’re here to support your loved one and family through our bespoke palliative care at home services.